Tune in to this episode of Columbus! Something New to enjoy our chat about Ohio Creative Collective, Crimson Cup Innovation Lab, Herb’n Café, Pistacia Vera, and Columbus SOUP. All this and your Columbus itinerary! You can listen to all episodes via Libsyn! No interview but a busy show! Ohio Creative Collective invited Columbus! 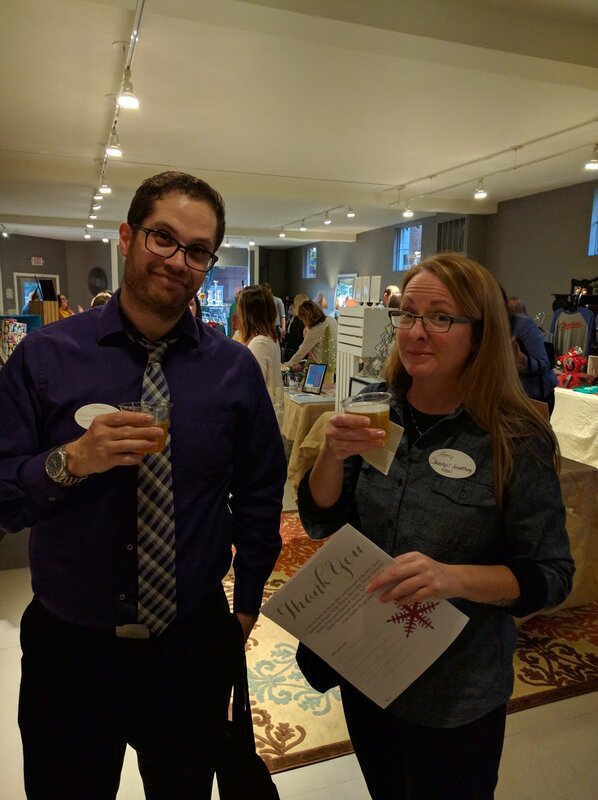 Something New to their Ohio Holiday Gifts launch party at Bleu & Fig. 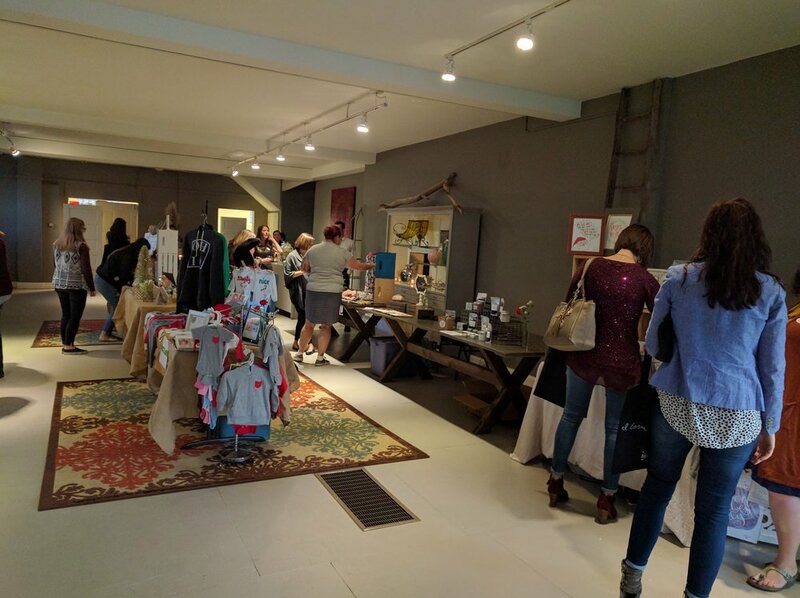 This was a great opportunity to see up close the amazing gifts handmade right here in Ohio! Head over to C!SN's Instagram page for posts throughout the week showcasing gift ideas for you! A big thanks to the OCC Board; Natalie, Jessica, Christy, Melissa, Jessy, and Andrea for the invitation and the opportunity to connect with these creative entrepreneurs! Jessica and Jason went to Crimson Cup's Innovation Lab to learn more about coffee and taught Burke and me both about coffee cupping! You wonder what an innovation lab is? 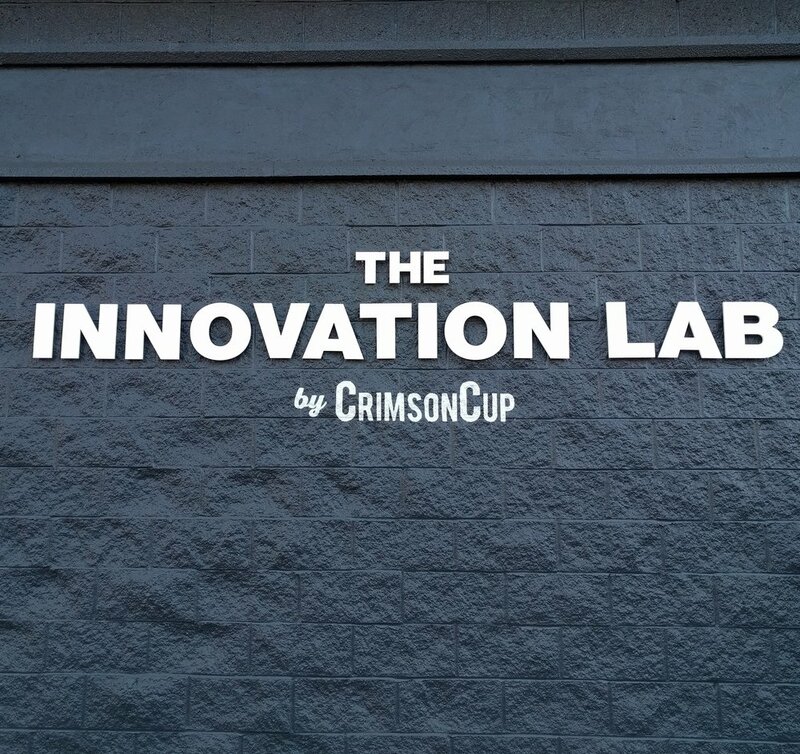 This is what Crimson Cup has to say: The Crimson Cup Innovation Lab is a space for both consumers and coffee professionals to learn about what goes into a great cup of coffee – from origins of the beans to roast level, grind, brewing techniques, drink preparation and more. Located in Columbus, Ohio near downtown Columbus and Bexley, this space features areas for coffee evaluation, roasting, training and gathering. My mom and I checked out Herb'n Café in Pickerington on Saturday. Nope, I took no pictures. You know I am all about experiencing the moment, and I rarely break to take pictures. But look, eating a superb lunch created and prepared by Chef Taylor Carter was pure delight. Mom and I shared two lunches, the Grilled Chicken Club Sandwich with Herb Parmesan Fries and the Asian Tacos featuring soy braised short rib, and we did not stop to chat once we started eating. Substitutions are not encouraged-- and I get it! Every bite is intentional and well crafted. If you find yourself in Pickerington, stop by and enjoy a naturally raised and locally sources fresh meal at Herb'n Café! Columbus Fall SOUP was Sunday! Jessica, Burke and I had some time before the doors at the McGowan Loft at Copious opened, so we headed to Pistacia Vera for some sweeties and coffee! 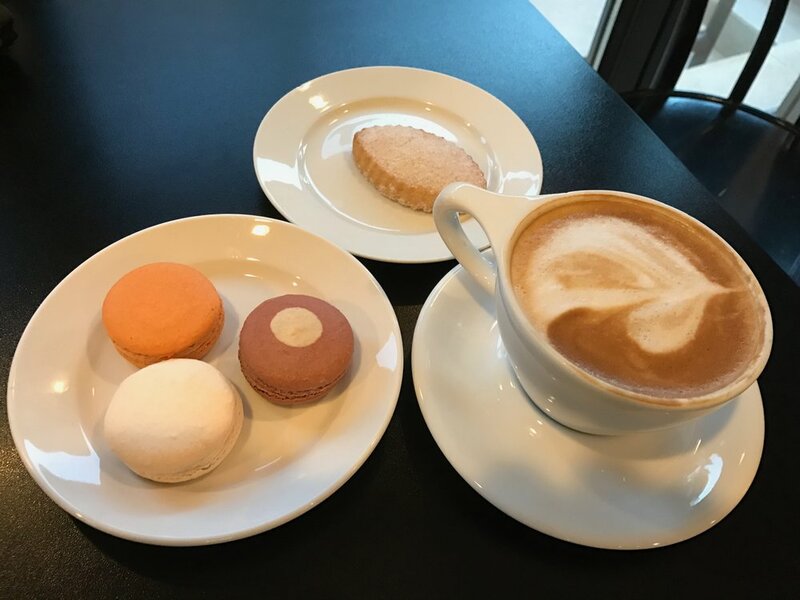 My daughter always stops by their shop at the North Market for their macarons, and this was the first time Burke and I had been to their German Village shop at 541 S. 3rd in German Village. Coffee and sweeties were much needed, and we headed back over to Columbus Fall SOUP! This SOUP focused on food deserts here in Columbus. We have talked about food deserts before on C!SN when I interviewed Andrian with Abe's Kitchen. At Fall SOUP there were five presenters all sharing their vision of addressing food deserts. Congratulations to first place STEM-to-STEAM: It's All in the Garden, and second place Micro-Agriculture Literacy Academy Project! And thank you to all involved with Columbus SOUP for connecting us to amazing big thinkers here in town! We love talking about upcoming events in Columbus. Here are links to help you plan ahead!